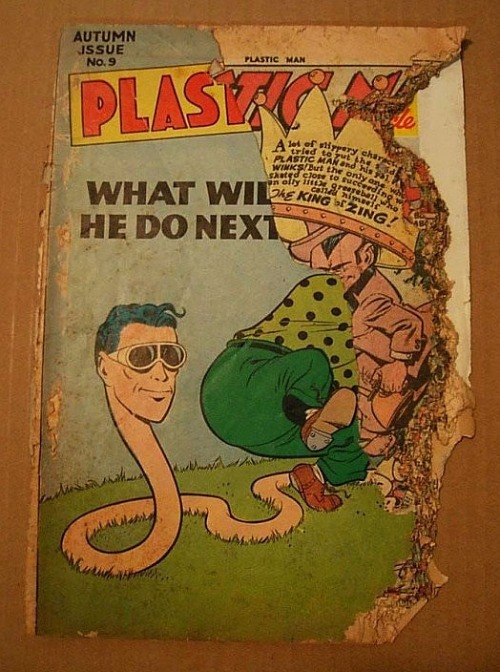 Posting has been irregular here lately (sorry ’bout that — blame life), so here are some quick Plas-centric items to wrap your mind around! 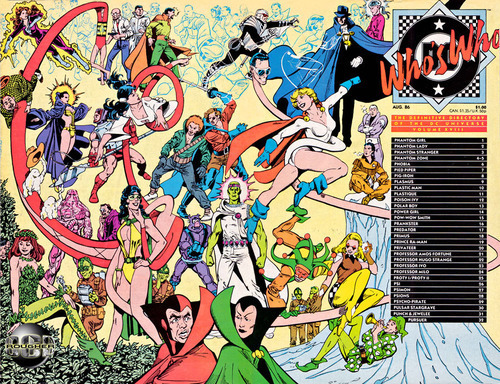 • I swear, I’m not going to start swiping everything from Firestorm Fan, but Shag did share this great image by Gregg Schigiel. 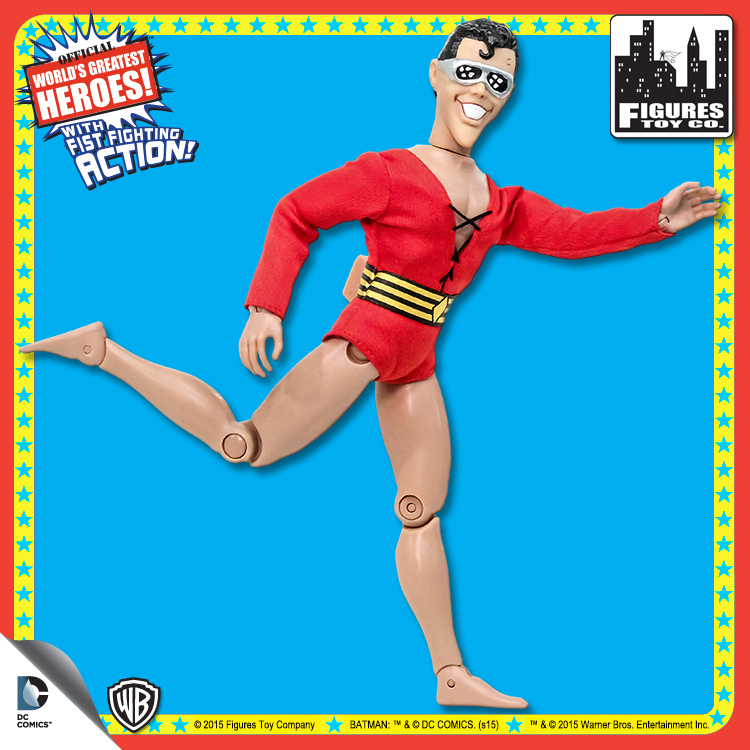 Can we have a Muppet JLA, please? 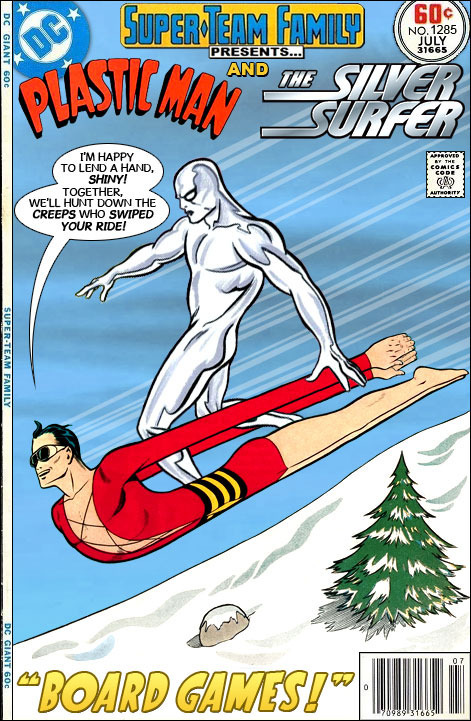 Why don’t we get this started? It’s time to get this started! 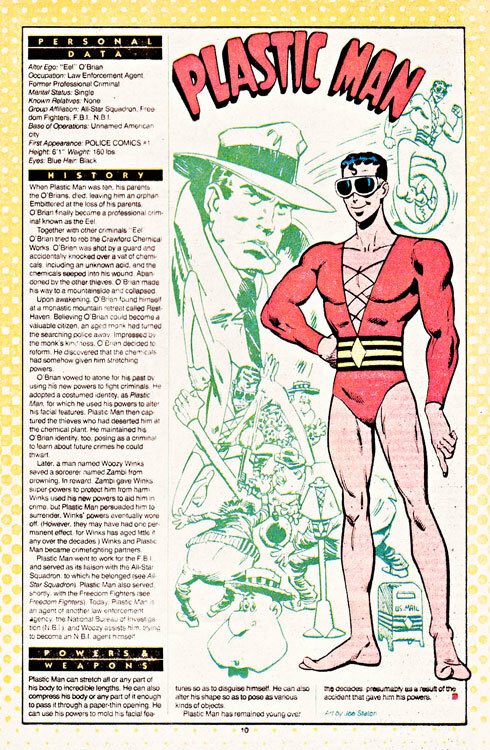 • Speaking of that Shag guy, he and partner-in-crime Rob Kelly (of the amazing Aquaman Shrine) co-host Who’s Who: The Definitive Podcast of the DC Universe, and they finally got to Plastic Man! Woo-hoo! 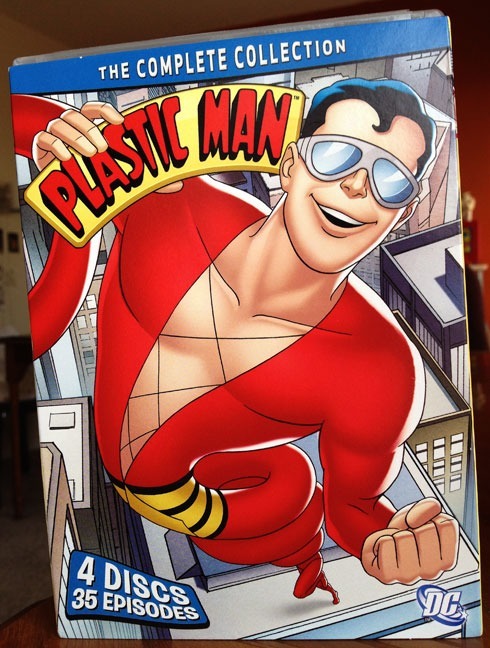 For what it’s worth, I agree with the guys’ assessment: The image of Plastic Man on the cover (by George Perez) is fantastic; the static (boring, dull, uninspired) image on the entry page less-so. 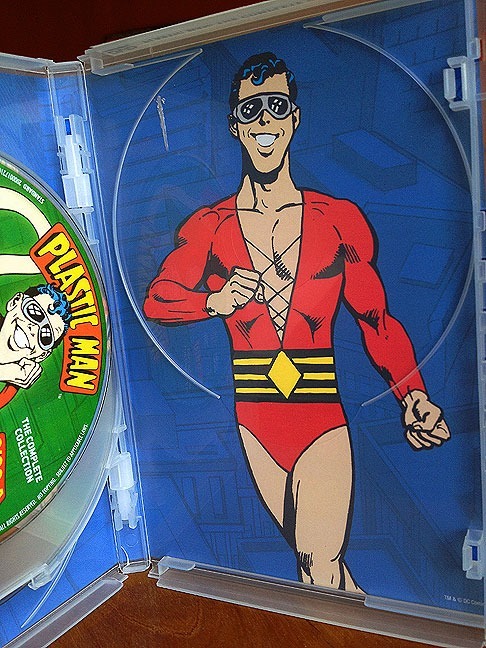 • Look, guys, I go to Target fairly often, and I’ve never seen this Plastic Man figure! And, boy, do I want it. 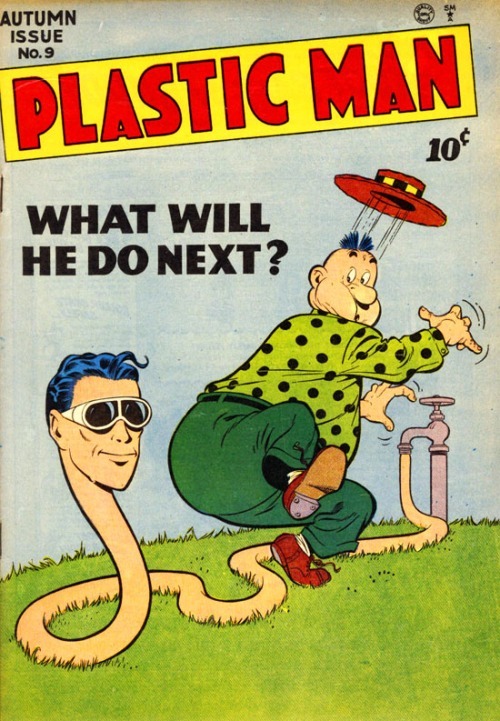 I really like that it’s kind of a bendy, and that it looks both like Plas and Otto the Autopilot from Airplane! (clip slightly NSFW). And I can think of one person who’ll be happy to see that Martian Manhunter! Go check out Toyrrific for the original post and pictures! There is one problem, though: While the set is called “The Complete Collection,” it looks as if it doesn’t include the later Baby Plas episodes. The completist in me is a little annoyed that these are missing, but the more sane part of me is kind of relieved.